This holster was made here at my shop in Oklahoma from the best American made leather available. The holster is finished with a chocolate fade finish and fits a Sig Sauer P2022. 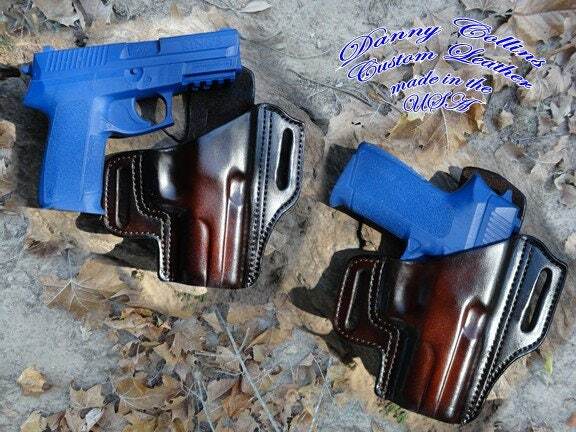 I can also make this holster to fit the 1911 full sized and ultra-carry frames in a verity of different colors in both left and right hand carry.